Two-part, super-strong, marine-grade repair compound for use above and below the waterline. 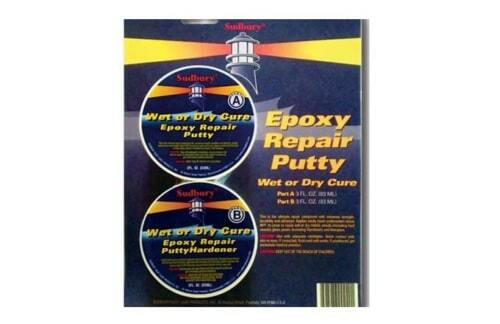 Two-part, super-strong, marine-grade repair compound for use above and below the waterline. For use on fiberglass, wood, metal and plastic. May be applied under water and/or to damp surfaces.